The Federal Energy Regulatory Commission, or FERC, is the independent regulatory agency responsible for granting the ACP the green light for construction and eminent domain – or not. Under section 7 of the Natural Gas Act, the Commission reviews applications for the construction and operation of natural gas pipelines. Read more about the FERC on their Web Page. ACP LLC filed their formal application with the FERC in September 2015; FERC issued the Draft Environmental Impact Statement (DEIS) on December 30, 2016. The deadline for commenting to FERC on revising its policies on review and authorization of natural gas pipeline proposals is July 25, 2018. FERC’s policies have not been revised since 1989! The Federal Energy Regulatory Commission (FERC) today launched an inquiry seeking information and stakeholder perspectives to help the Commission explore whether, and if so, how, to revise existing policies regarding its review and authorization of interstate natural gas transportation facilities under section 7 of the Natural Gas Act. FERC issued a Notice of Inquiry (NOI) to examine its policies in light of changes in the natural gas industry and increased stakeholder interest in how it reviews natural gas pipeline proposals since the Commission adopted its current Policy Statement on pipeline certification. The Commission issued its current Policy Statement, “Certification of New Interstate Natural Gas Pipeline Facilities – Statement of Policy” (Docket No. PL99-3-000), in September 1999. Today’s NOI poses a range of questions that reflect concerns raised in numerous public comments, court proceedings and other forums. Through the NOI, FERC is seeking input on potential changes to both the existing Policy Statement and the structure and scope of the Commission’s environmental analysis of proposed natural gas projects. The Commission also is seeking feedback on the transparency, timing, and predictability of its certification process. FERC is encouraging commenters to specifically identify any perceived issues with the current analytical and procedural approaches, and to provide detailed recommendations to address these issues. A number of recent news stories have addresses FERC’s refusal to address broader impacts of pipelines on climate change and greenhouse gases, e.g. LaFleur defies FERC majority, will consider broad climate impacts of pipelines, and Federal appeals court dismisses pipeline case that charged FERC with bias. Be sure to use docket number PL18-1-000 when submitting your comment to FERC, whether you submit electronically or by U.S. mail. 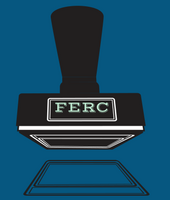 You may submit a comment to FERC electronically (https://ferconline.ferc.gov/QuickComment.aspx). Go to https://ferconline.ferc.gov/QuickComment.aspx and fill in your information. They will send you an email immediately. You will need to click on the link they provide in the email. It will take you to the FERC comment page. You will need to enter the docket number – PL18-1-000. After you have entered it, it should show up in a box, and you will need to click on the blue ‘+’ next to it. Then you copy and paste your comment into the provided box or write in your comment and submit. To read other submissions to FERC: You can search the FERC database of comments submitted on the ACP using either their General Search page or their Advanced Search page. In both cases, be sure to include the docket number (PL18-1-000). Note: You should be aware that the search page and its functions on FERC’s Web site are temperamental and often non-functional – that in itself is something worthy of comments to FERC! After 7:00 p.m. on Friday October 13, 2017, The Federal Energy Regulatory Commission granted certificates of public convenience and necessity to both the Atlantic Coast and Mountain Valley Pipelines. Recently appointed FERC Commissioners Neil Chatterjee and Robert F. Powelson voted in favor of certification, Commissioner Cheryl A. LaFleur dissented. Read the approval statement for the MVP here. Ms. LaFleur’s dissent begins on page 136. The Federal Energy Regulatory Commission issued its final Environmental Impact Statement on the Atlantic Coast Pipeline on July 21, 2017. FERC has 90 days to make a decision on issuing a certificate of approval for the project. Note also that these are a staff recommendations only; actual FERC permits need approval by the Commissioners (there is only one at the moment, with three more nominated but not yet approved by the Senate). and the ACP must receive other permits as well, e.g. from DEQ and the USFS. Allegheny-Blue Ridge Alliance (ABRA, of which Friends of Nelson is a member) issued a press release saying the EIS fails to assess whether the project is even needed (relying solely on the project developer’s claims of need), that numerous studies in recent years show the gas and utility sector is overbuilding natural gas infrastructure, and that the EIS glosses over the profound and permanent harm to water resources and drinking water supplies, forest ecosystems, wildlife and endangered species habitat, historic sites, agricultural resources, public lands including the Appalachian Trail and Blue Ridge Parkway, and local economies. A significant red flag for the ABRA is FERC’s reliance on Dominion’s pledges to mitigate harm to water resources rather than requiring the company to provide upfront detailed plans to be shared with the public prior to granting federal certification and the power of eminent domain. The press release also lists nine key points the EIS fails to adequately address. On December 30, 2016, FERC released the Draft Environmental Impact Statement (DEIS) for the proposed Atlantic Coast Pipeline. In response to requests from numerous elected officials and organizations, FERC has extended the usual 45-day period for public comments; the deadline is April 6, 2017.